They're filled will chocolate and served atop Oreo 'soil'. We rang in the year of the pig (goodbye year of the dog, go sleep it off) on February 5, but the festivities are continuing throughout the month. And what's the best way to partake in the celebration? We've got it right here and it'll make you happier than a pig in mud. 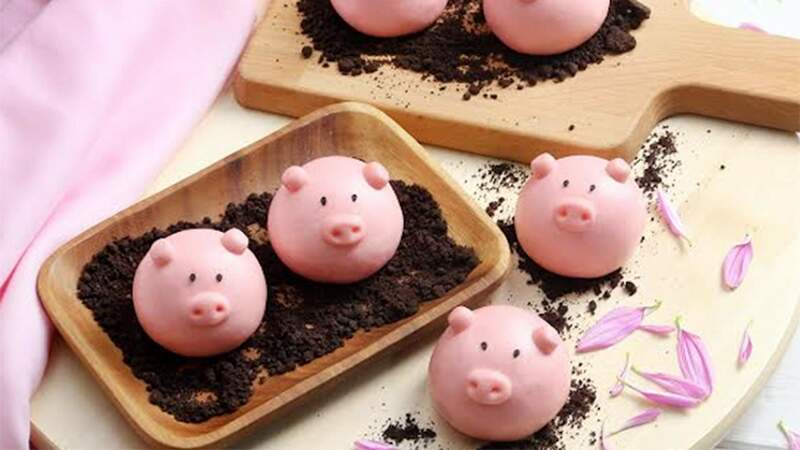 Dumpling master Din Tai Fung is offering new limited edition 'Piggy Buns' for the first half of February and they are some the cutest dumplings we've ever seen. Just look at them. Din Tai Fung is famous for its dumplings and is known to release beautiful and novelty dumplings for special occasions (check out these adorable little monkey buns from 2016). 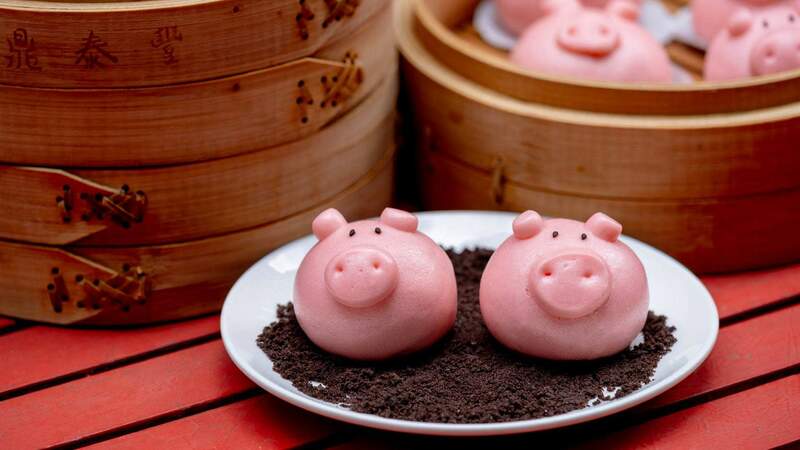 The pig bao buns are steamed-to-order, stuffed with a sweet filling of chocolate and served on a bed of Oreo 'soil'. The pig buns are available at most Din Tai Fung restaurants and food court outlets in Sydney and Melbourne (full list below) and through Deliveroo in both cities— so you even order them straight to your desk. The only problem we can foresee is that eating those sweet little pig faces may be hard… but we'll probably manage it. If you're in Sydney and decide to head down to the World Square location on your lunch break, you'll also be able pat real life pigs while you're there. Three little piglets will be available for pats on Level 1 between 11am–2pm on Friday, Saturday and Sunday (February 8–10). Piggy Buns are available for $8.80 for two until mid-February at seven Din Tai Fung Sydney stores — World Square, Westfield Chatswood, Central Park Mall, Broadway, Westfield Miranda, The Star, Gateway and Greenwood Plaza — Melbourne's Emporium store and via Deliveroo.